Immigration Visas - EB-5 & E-2 Visas | Scott Legal, P.C. The firm’s practice covers all areas of Business Immigration Law including the various Investor Visas (For Example, EB-5 & E-2 Visas) and other permanent (green card) and temporary employment-based Visas (H-1B, L-1, O-1, TN, EB-1, EB-2, & other) for individuals and companies. 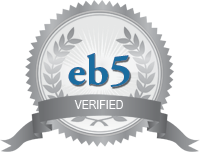 Also, we are EB-5 verified by EB-5 Investor Magazine. Scott Legal, P.C. can guide you through the intricate world of complex immigration issues and we will offer up various immigration solutions for you. Click Here for a Description of the Immigration System in the U.S.
We keep careful track of the ever changing immigration laws so that we can maximize the effective representation of our clients, and we do not shy away from difficult or complex cases. Scott Legal, P.C.‘s membership in the highly prestigious and informative American Immigration Lawyers Association (“AILA”) ensures that our clients receive updated, accurate, and comprehensive advice. Our firm fees are both reasonable and competitive and your exact fee will depend on the immigration petition you want filed, the complexity of the issues, or the length of time and work involved. Although the emotional impact on you and your loved ones may be great during the immigration process, be assured that Scott Legal, P.C. will do everything in its power to secure an outcome for you that will be a positive one. We want to help you to begin a new era in your life. Visa Bulletin – How Does it Work?